Welcoming in a new year is, as always, a time of reflection. Here at Tryzens it is no different. 2017 was an especially successful year. We had numerous reasons to celebrate, we received great accolades and expanded our business into Australia and New Zealand. We have compiled a selection of 2017 highlights. Winning Salesforce Commerce Cloud EMEA Delivery Partner of the Year. It was a great year for partnerships for Tryzens this year and we are still delighted from the announcement made at Salesforce’s XChange Conference 2017, the eCommerce and digital retail event of the year, saw Tryzens appointed as the only EMEA Delivery partner of the year. Tom Griffin, COO, Commerce Cloud, Salesforce exclaimed “Tryzens demonstrates a commitment to delivering intelligent and innovative solutions that enable companies to connect with their customers in new ways.” We are extremely pleased at how strong our partnership has flourished and appreciative to see the hard work of our sales and delivery teams be recognised on such a scale. Tryzens have been in partnership with Salesforce Commerce Cloud for many years and the announcement of this award was a great honour and a reflection of the tremendous skill and care of the Delivery Teams at Tryzens to ensure clients benefit from the great capability of this enterprise platform. 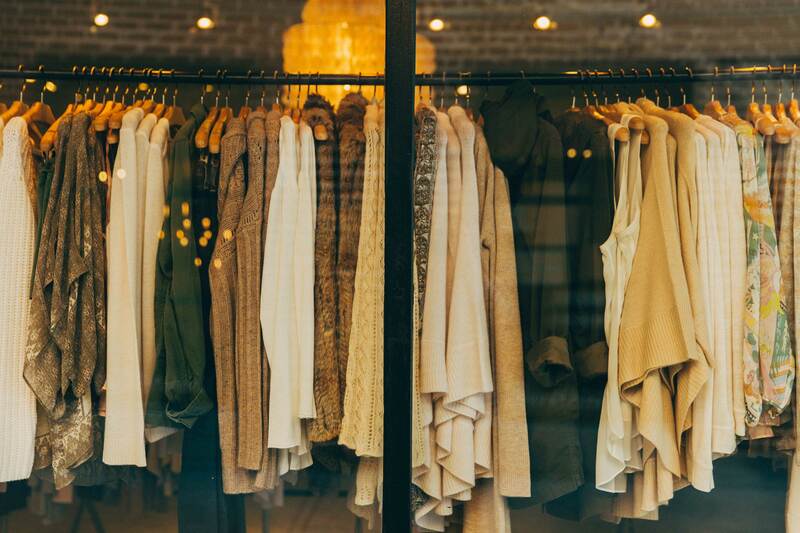 This calendar year saw the contract wins of significant Salesforce clients such as British retailer Sweaty Betty who specialise in women’s activewear, luxury destination store Liberty London and T.M. Lewin, a leading men’s shirt retailer. Whilst in our Australian office we launched the new CottonOn sites and signed more incredible brands such as Seafolly, MacPac and M.J. Bale. We look forward to continuing our work with retailers to place the Salesforce Commerce Cloud solution at the heart of future-thinking, seamless omnichannel eCommerce experiences. We were also delighted to announce Tryzens had been awarded with the accolade of Magento professional partner, solidifying the already strong relationship with the highest level of partnership Magento offers for regional partners. It was a proud moment for all of us here at Tryzens as we have worked hard to invest in our team, our capabilities and our performance, and it is rewarding to see that our momentum is converging with Magento’s own growth and strategy in the commerce marketplace. This calendar year Tryzens signed with several renowned brands such as David Nieper, Actegy and Ferrero Food Services. Magento Commerce stated: “Tryzens has developed a dedicated practice of experienced, reliable Magento professionals so we are delighted to be able to award Enterprise Partner status. We look forward to continuing to work together to create exceptional online experiences for our clients.” For Tryzens the announcement underlies our deepening commitment to the Magento eCommerce platform and we look forward to what’s to come in 2018. This year based on our early successes with clients based in Australia, we took the decision to open our first office in the region, based in Melbourne. We also appointed Josh Emblin as Country Manager to lead our sales activity and appointed James Lutchmaya and Sophia Brooker to head up our Programme and Customer operations. We will continue to expand our local presence to support our clients in this exciting market. Seminar 2: Practical considerations retailers should take to prepare their internal operations to demonstrate awareness of and compliance with GDPR. Seminar 3: Managing your GDPR obligations relating to third party Data Processors. Tryzens have made all the content from these sessions available as recorded presentations, plus much more, on the GDPR Hub. Within the hub you can find platform specific guidance links, a downloadable copy of our GDPR whitepaper ‘A Retailer’s Responsibility and Liability under GDPR’ and our GDPR Service Provider questionnaire for eCommerce and digital service suppliers. Integration Portfolio Management is a new service for software companies in the eCommerce arena. It enables them to work with a single provider for development, support and go-to-market strategy services across multiple eCommerce platforms at once. Tryzens’ IPM simplifies the principles of integrating their technologies with major eCommerce Platforms, whereby the software company invests in an aligned, seamless process and associated resource pool that is flexible to meet their evolving needs and priorities based upon market demand. With the launch of the new service, we have seen some leading technology companies adopt this approach, and start seeing the benefits within months. Klarna, being very pleased with our initial successful build of a Hybris cartridge, chose us to manage their integration portfolio across all their products & platforms. Previously, they had relationships with multiple SIs that were very experienced in their independent platform fields, but Klarna realised the benefits they could get by consolidated under a single Partner, with proven experience across multiple fields. Another great partnership for Tryzens was the expansion of our relationship with SmartFocus, who used to work with over 5 Systems Integrators to manage their portfolio of integrations. This proved to be a logistical nightmare and incredibly inefficient. By consolidating this activity under the Tryzens IPM service SmartFocus saw operational and economic benefits within months of the transition. Tryzens look forward to sharing more releases, working on exciting new projects with our partners and completing new website launches for our wonderful clients in 2018!